If your breakfast usually consists of a brown banana at the bottom of your gym bag (or nothing at all), we've got a great way to enjoy the most important meal of the day. On Friday, April 5, Cru Kitchen & Wine Bar is teaming up with Bright Pink for "Sequins at Breakfast," taking place from 9 to 11 a.m. The women-focused networking event is the brainchild of the gal who brings a sparkle to every fete, PR maven Amanda Puck. And joining her, an inspiring host committee, including Lindsay Avner, Dana Gordon (Dana Rebecca Designs), and Azeeza Khan (Atelier AZZA). For $35 (with a portion of the proceeds benefiting cancer prevention and detection nonprofit Bright Pink), guests will get a hearty three-course feast, including raspberry-and-pastry-cream-filled beignets, choice of either a breakfast wrap or smoked salmon, and a fruit finale. There will also be a raffle where you'll get a chance to win an Atelier AZZA belt, Dana Rebecca Designs necklace, an unlimited month of classes at Exhale Chicago, and more. And, if you're lucky, you'll be one of 50 lucky ladies to score an awesome bag of swag (fingers crossed!). Tickets are first come first served, so get yours now by visiting this link. 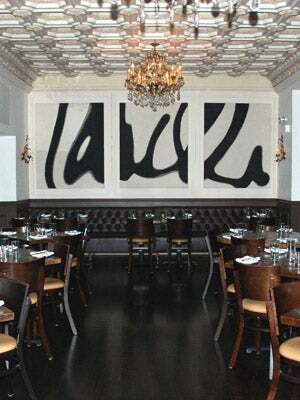 Cru Kitchen & Wine Bar, 25 East Delaware Place (between Wabash Avenue and State Street); 312-337-4001.